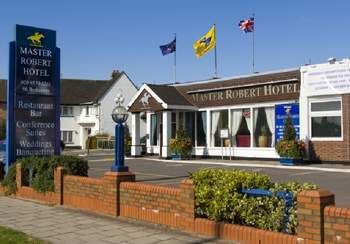 The Master Robert Hotel is ideally located on the A4 and in close proximity to public transport. 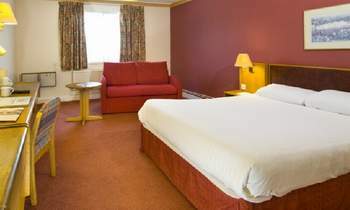 The Hotel is 10 minutes from London Heathrow airport and 11 miles from the centre of London. Warm welcome to the Master Robert hotel your perfect home away from home! The Master Robert hotel has been a long time favourite for corporate clients, people travelling to and from Heathrow airport, as well as visitors to London. Famous in the Heathrow hotel market for its large bedrooms, fantastic services and ample car park space, the hotel is known for its friendly staff and traditional English comfort. A traditional English pub on-site, an RAC awarded restaurant and conference & banqueting facilities all add to the charm of the hotel, which is of historical significance. 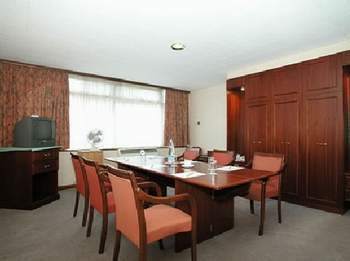 The hotel is one of the nearest hotels near Heathrow with large rooms and Conference venues. The hotel can accommodate 130 people in conference rooms. A large space for wedding venues is available. Wedding menu will be for local and Asian. The visitors can access Heathrow Airport, as the hotel is very near to it. The important places near to the hotel are Feltham, Stockley park, Southall, Legoland, Isleworth, Uxbridge, Hounslow, Twickenham, Kew gardens, Windsor castle, Harrow and Hounslow. So many International companies are located in Uxbridge and the Civic Centre not far as well. It's a great venue for corporate business travellers as well. Designed for pleasure but equipped for business, the Master Robert Hotel has for long been a favourite for corporate clients, people travelling to/from Heathrow airport, and even visitors to London and the surrounding tourist and leisure destinations. 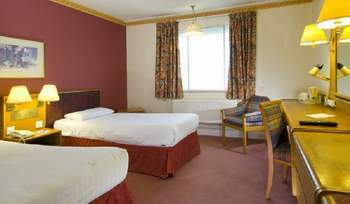 Famous in the Heathrow hotel market for its large bedrooms, fantastic service and ample car park space, the hotel is well equipped to meet your requirements please click here for bedroom amenities. Car parking is charged at 5.00 per car / per day subject to availability. Heathrow is known as one of the busiest airport in UK and in the world. Parking is sometimes hard to get but now you can rest assured with our Park and Fly Package. We provide car park facility at our hotel. You can get free parking for 15 days when you stay at least one night. (Terms and Condition Apply). Further details on Park and Fly offer can be obtained from the hotel via email or by phone. This offer will change time to time, so please check with the hotel staff. Enjoy this Park and Fly offer by staying at our hotel and ensure your comfortable stay in Heathrow. 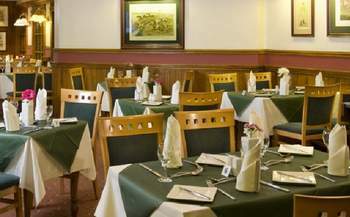 A traditional English pub on-site, superb conference and banqueting facilities , dining (restaurant awarded RAC dining award) and cocktail bar all add to the charm of the Master Robert Hotel, which incidentally, is of historical significance. The hotel’s 96 guest rooms are all tastefully decorated in relaxing shades with en-suite bathrooms and an array of amenities. The large size of the bedrooms is what distinguishes the Master Robert from the other hotels in the Heathrow area, making it a favourite for long staying guests and visitors to the area. The Master Robert offers 5 meeting and banqueting suites available with the Grand Ballroom seating up to 130 guests theatre style, making it a popular venue for corporate meetings, trainings and events. 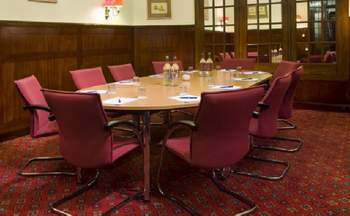 The vastly experienced conference team are guaranteed to offer you a friendly and professional service and you can relax in the knowledge that we will take care of every detail on your behalf. For floor plans and capacity charts. Theatre seating for up to 130 people. Ideal for Meetings, Conference, Banquets, Shows, Conventions. Over 2,000 square feet in all. Equipped with latest training aids. The Master Robert Hotel - A venue with large space for Wedding in Heathrow. With a banqueting suite for up to 100 guests, the Master Robert Hotel is the ideal venue to make your wedding or corporate event one to remember. The Master Robert Hotel boasts excellent banqueting facilities and can provide a superb venue in which to hold your wedding receptions, dinner dances or cocktail parties. The hotel has a first class reputation for Banqueting. From an intimate dinner dance party for 20 to a wedding reception for 120, we cater for all. Our service is professional and friendly, you can relax in the knowledge that we will take care of every detail on your behalf and ensure that your function proceeds as smoothly and efficiently as you had planned. The Master Robert banqueting suite is a large venue in Heathrow for weddings, celebrations and events. Our staffs make all the arrangements and give more attention for the special occasions. Our team would be delighted to meet with you and discuss any personal requirements that you may have and to design menus for your special event. Furthermore, we would be delighted to invite you to sample our food prior to your event. Our experienced team is there to offer you a professional service so that you can relax in the knowledge that we will take care of every detail on your special day. Self Catering functions facilities available. Special packages to cater for Asian functions. Licensed to hold Civil Weddings. Grand Ballroom for banquet seating up to 100 people.